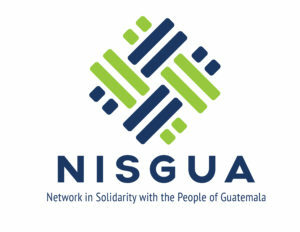 On October 30, NISGUA began our tour with Association for Justice and Reconciliation president, Anselmo Roldán Aguilar. After a day of meeting with key state and congressional representatives, Anselmo gave his first presentation at the Unitarian Unitarian Church of Arlington. 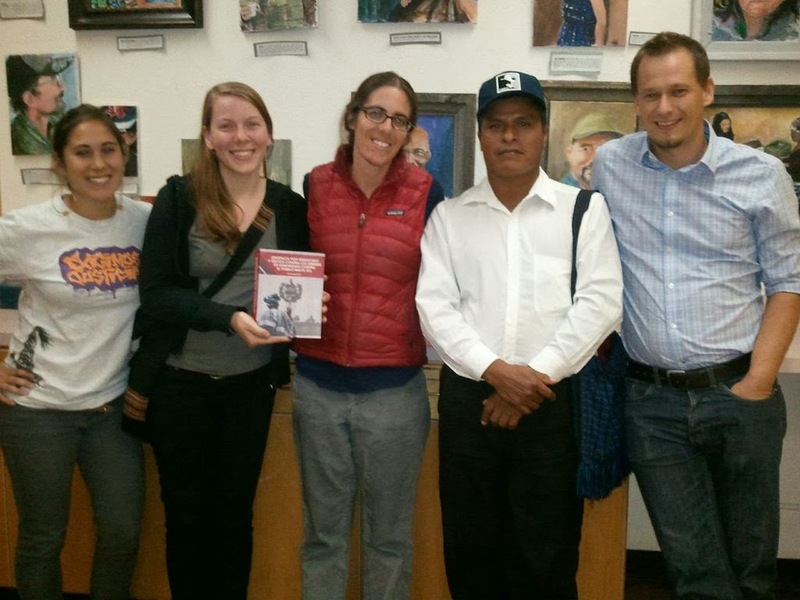 The event, hosted by Partners for Arlington and Guatemala, connected Anselmo with a group of dedicated individuals committed to promoting human rights and education in Guatemala as well as supporting immigrants in their local community. Justice needs to be met to the fullest extent of the law. Rios Montt was found guilty already of murder and genocide. His current “freedom” and house arrest is unlawful… the victims need closure and the Guatemalan government needs to do what is right. All persons need justice and equal rights. 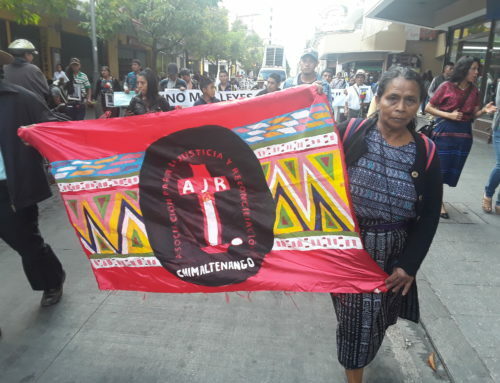 The Historican Clarification Comission (CEH) declared that there was genocide in the 1980s and now is the time to remember this in the Guatemalan system. Justice is necessary for the future of Guatemala. Yo también soy sobreviviente, pero de un crimen mucho menor. Su fuerza y su valor me inspira TANTO! Que sigan adelante! Nunca Mas! Sus crímenes son realidad, y nadie lo puede negar ni borrar. La lucha sigue! Justicia es necesario para el futuro de Guatemala. You can stand in solidarity with the AJR from anywhere in the world by participating in the campaign online! Take action: sign the petition to join the call for “NO AMNESTY” and share why the genocide sentence is important to you. While at American University, former NISGUA staffer Beth Geglia sat down with Anselmo to conduct an interview about his expectations for the fall tour and what he hopes to share with US audiences. 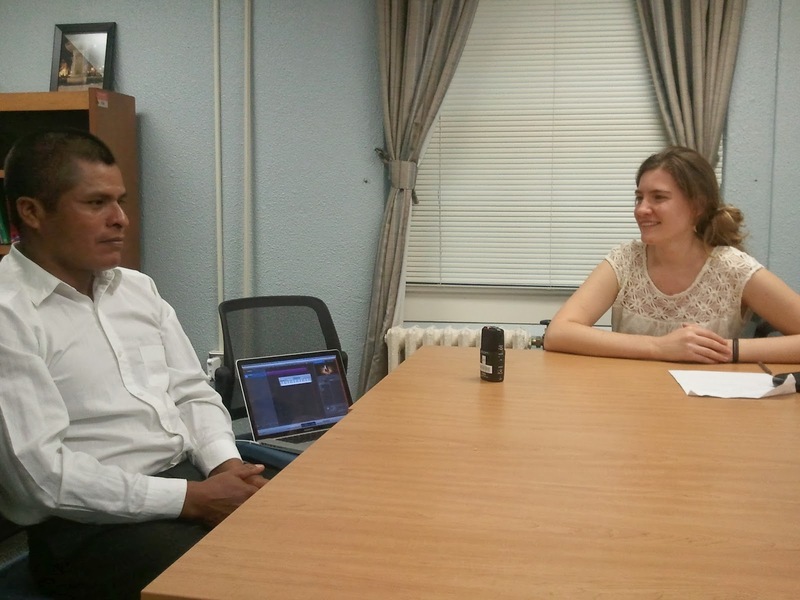 Read what Anselmo had to say in Beth’s exclusive interview, “There is No Amnesty for These Crimes”: Guatemalan Massacre Survivor Anselmo Roldán Kicks Off U.S. Speaking Tour”. Anselmo finished off his D.C. visits with a potluck hosted by former NISGUA accompaniers. 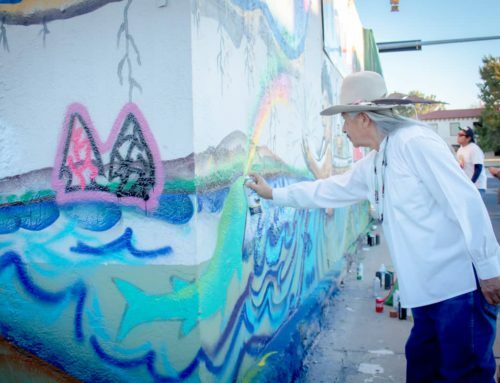 The gathering gave Anselmo the special opportunity to reconnect with accompaniers who once lived in his community of Cuarto Pueblo. This sentence validates the painful histories that have too long been ignored. 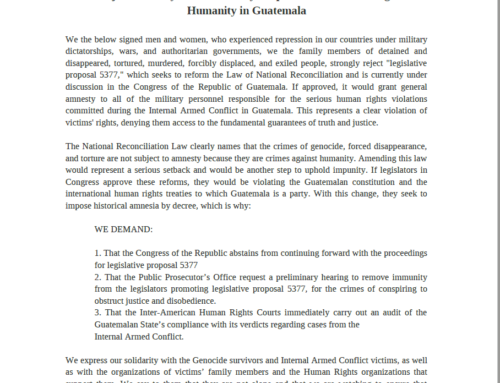 Let Guatemala set the standard for justice not impunity. Los derechos humanos no tienen fronteras! Apoyamos a Uds. en solidaridad – gracias por su lucha para la justicia. The proof is in the sentence. Si hubo genocidio! 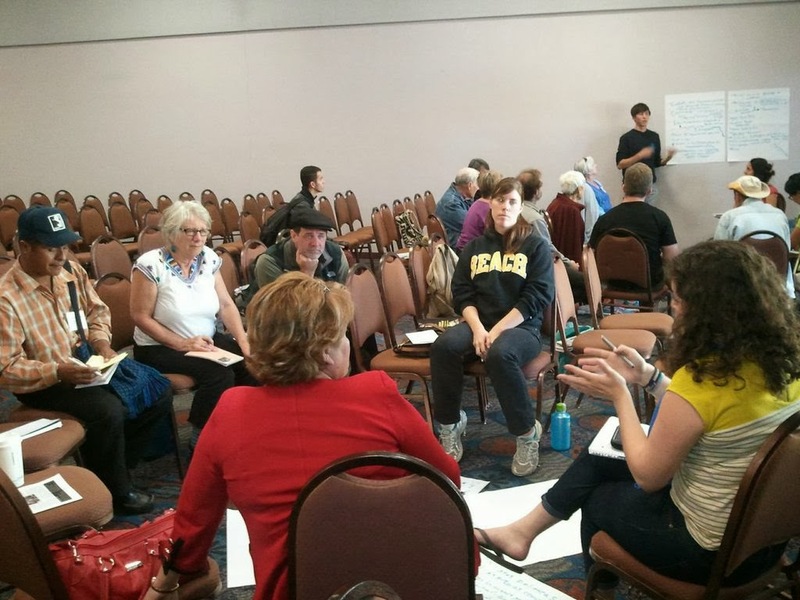 The next day, the AJR participated in the Tear Down the Walls national gathering, hosted by the Alliance for Global Justice, with a presentation titled “Guatemalan Genocide Case: Tearing Down the Walls of Impunity.” The gathering provided the unique opportunity for cross-border relationship building during a workshop on social, ecological and economic injustices that impact indigenous communities given by the Forgotten Navajo People. Participants discussed structural violence and the imposition of harmful development projects, particularly a uranium mine on Navajo lands. 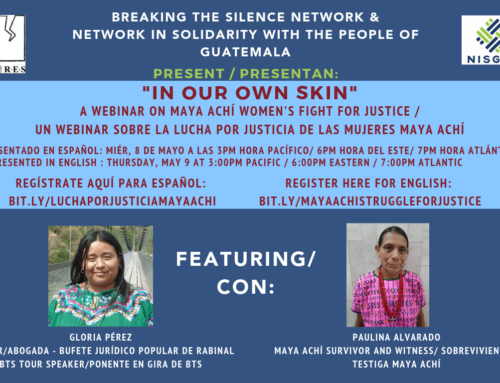 They also discussed the increasing use of the penal system to control movements through the criminalization of leaders and human rights defenders, both in the US and Guatemala. 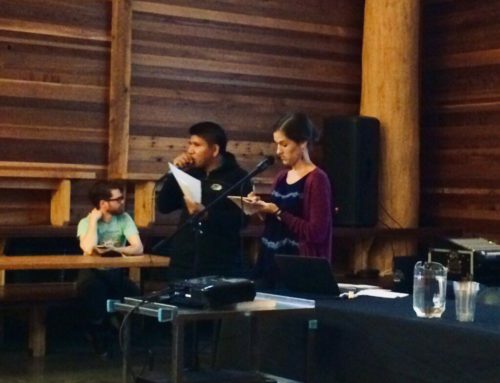 The AJR and NISGUA also participated in an assembly that focused on the war on drugs, immigration and the militarization of the border to better understand the US policies and laws that drive this deadly system. Continue to follow the NISGUA tour! See what cities we’re headed to next by visiting our website.